Bring a large pot of water to a boil over high heat with salt. 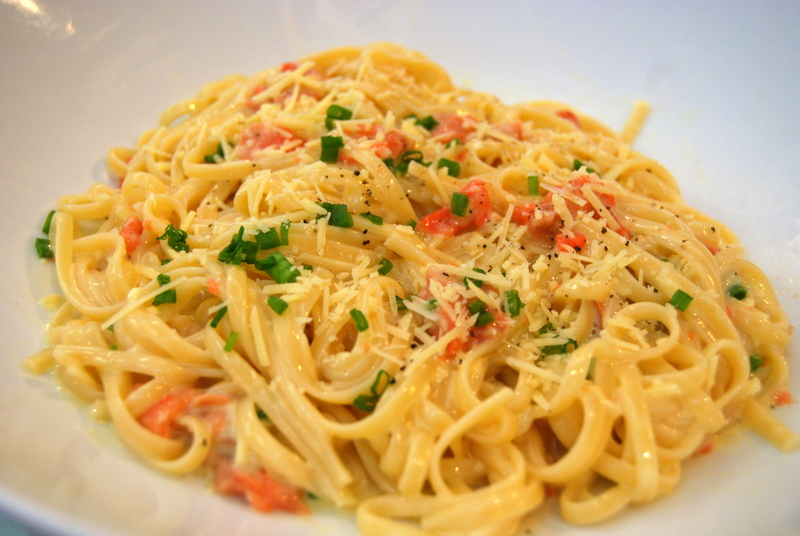 Cook the pasta in the boiling salted water to al dente. Drain the pasta. In a small skillet, melt the butter in a small pan, add the garlic and gently sizzle for 1 min. Add the crème fraîche and bring to a simmer. Remove from heat and transfer to a bowl. 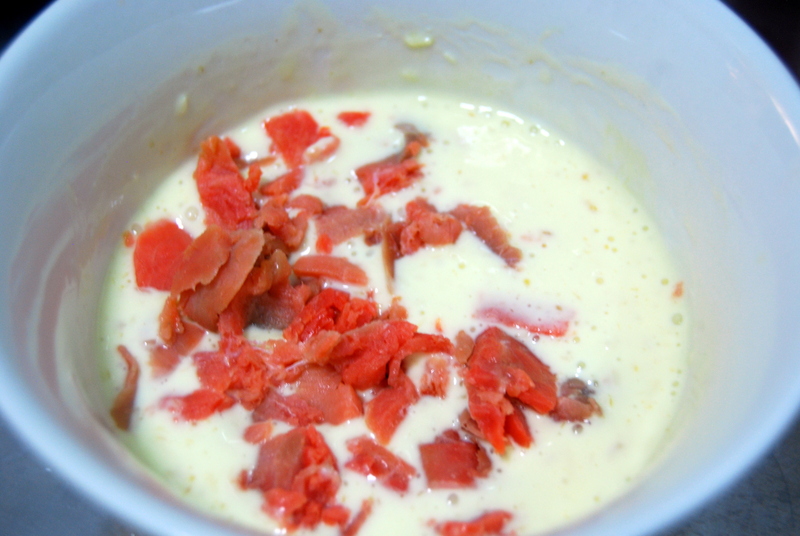 Whisk the egg yolks into the sauce, half of the Parmesan cheese, and the smoked salmon. Season to taste with salt and black pepper. 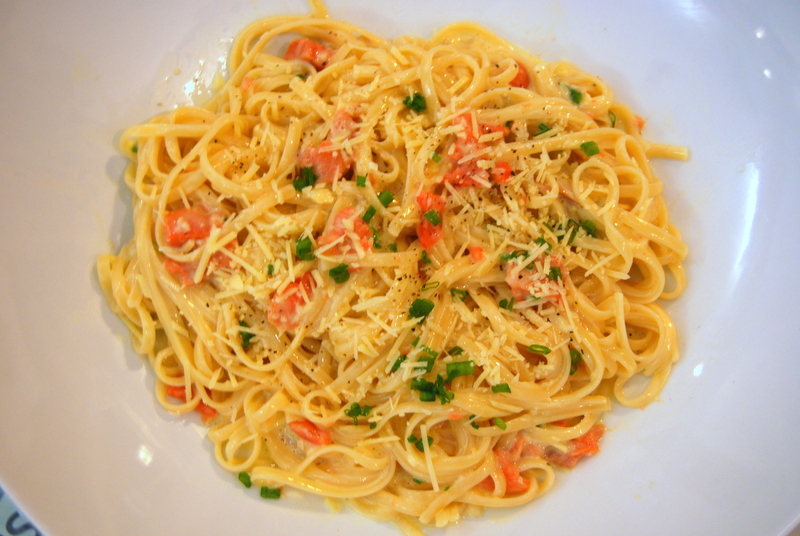 Add the pasta to the sauce and stir in the chives and rest of the Parmesan cheese. Let everything sit for one minute to properly absorb all of the flavors. Garnish with extra Parmesan cheese if desired.